MOSCOW, the Russian Federation (BulgarianMilitary.com) – Yesterday (14th January), the press service of the Russia’s Navy Northern Fleet informed in a statement about the first long voyage of the lead frigate of Project 22350 Admiral Gorshkov, which will take place this year, learned BulgarianMilitary.com. 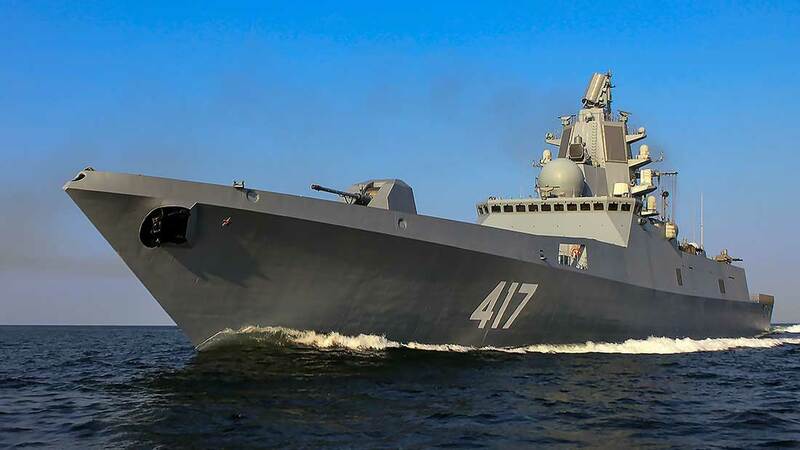 According to the fleet’s statement quoted by TASS, in the current year, the ship will “face important combat training tasks,” as well as it is going to make its first voyage. Before the voyage, the crew of the frigate will be obliged to undergo a combat training course that will be held both at the home base and at sea. The press service of the fleet specifies also that since the lead ship of the Admiral Gorshkov-class frigates has entered combat duty in the the Northern Fleet on 8th September last year, it has carried out a wide range of live firing exercises that were held in the Barents and White Seas. To perform the trainings there, the Admiral Gorshkov relied on its missile and artillery weapons that include the main missile strike systems – Kalibr cruise missiles and Poliment-Redut air defense systems. The lead frigate of Project 22350 Admiral Gorshkov is the first surface ship with Kalibr cruise missiles that enters combat duty in the Russia’s the Northern Fleet. The frigate developed under Project 22350 Admiral Sergei Gorshkov – Program was designed to be first long-range maritime zone ship built for Russian Navy after a break of 15 years. Its design was developed by the St. Petersburg-based Severnoye PKB (Northern Design Bureau) FSUE, after the bureau won the tender announced in 2005. With Project 22350, the Russian Defence Ministry planed to fully replace the older Project 956 Sovremenny class destroyers and Project 1135 Burevestnik class frigates in four Russian fleets. The lead ship, Admiral Gorshkov was laid down in the very beginning of February 2006 in Severnaya Verf Shipyard at St. Petersburg. In late October 2008, Sergei Ivanov, the Russian Deputy Prime Minister, made an announced that the first ship in the class would be ready by 2011. Follow us everywhere and at any time. BulgarianMilitary.com has responsive design and you can open the page from any computer, mobile devices or web browsers. For more up-to-date news from us, follow our Reddit, LinkedIn, Twitter, Facebook and Google+ pages. Do not miss the chance to subscribe to our newsletter.